The FOCCUS (Facilitating Open Couple Communication, Understanding and Study) Pre-Marriage Inventory, developed through extensive research, is a conversation tool designed for couples preparing for marriage or seriously considering marriage. The FOCCUS Facilitator sets up the inventory for a couple to either take online or in paper-pencil form. Couples complete the inventory independently. On the Inventory the couple answers questions related to issues such as Communication, Problem-Solving, Religion, Dual Career, Cohabitation, Parenting, Sexuality, Finances and more. Once a couple completes the inventory, an online report is generated for the FOCCUS Facilitator. If a couple took the inventory online their facilitator will have quick access to the report. If they completed the inventory on paper, their scores are manually entered online by the facilitator and then a report is generated. The FOCCUS Couple Report is a tool that provides the FOCCUS Facilitator a starting point to facilitate discussion with the couple. The FOCCUS Facilitator Manual helps the Facilitator interpret the FOCCUS Couple Report and guide the couple’s discussion. Once the couple and FOCCUS Facilitator meet to discuss their inventory, the FOCCUS Facilitator can share additional b’tween resources for the couple to integrate what they have learned from their inventory discussion. Want to become a FOCCUS Facilitator? Want to score the FOCCUS© Pre-Marriage Inventory? The FOCCUS Inventory is not a test – there are no right or wrong answers. It is a snapshot in time of patterns of strengths and opportunities in the couple’s relationship. A trained FOCCUS Facilitator guides the couple’s discussion based on their FOCCUS Couple Report. The facilitated discussion is supported by a detailed FOCCUS Facilitator Manual which provides facilitators with supplemental questions that help elicit optimal, positive couple discussion. 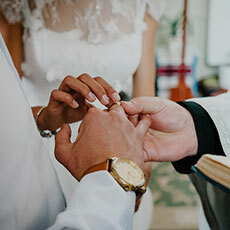 The FOCCUS Inventory can be used as a stand-alone marriage preparation tool or used in conjunction with other marriage preparation processes or programs, such as skill building classes, educational programs or marriage mentoring. The FOCCUS Inventory is user friendly for diverse populations, with six editions in four languages, two methods of scoring and several Facilitator training options. The FOCCUS Inventory has strong psychometric properties: high reliability, content, construct and predictive validity.